Build on the power of DocRead. Check how well staff understand what they have seen or read by assigning quizzes and surveys. Complete training modules and gather feedback, all in a few simple easy to learn steps. Set Scoring Quizzes with a pass-rate and make sure your staff have really understood the content before they can complete their required task. Create surveys that allow staff to feedback their thoughts and opinions on a document or on a particular subject in your organization. Works Seamlessly with DocRead For SharePoint meaning you can easily assign reading tasks and ask staff to pass a quiz before their task is complete. Create surveys containing HTML, video, flash and images. 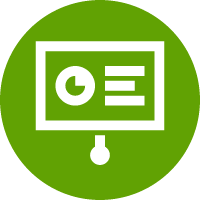 With our 'HTML Text' control, you can create a page packed with e-learning content. See the bigger picture on the current status of your Surveys and Quizzes. Pin Point Questions that staff are failing to help ID your training needs. 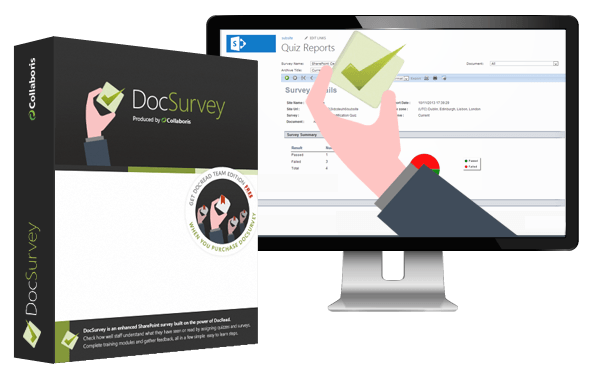 DocSurvey stores responses in SharePoint lists so it's easy to export, filter, sort and search data to help you find the answers you need. Create quizzes & tests with minimum pass rates. Combined with the user friendly interface, you have tons of options to control what information you share at results time. Want DocRead Team Edition for free? 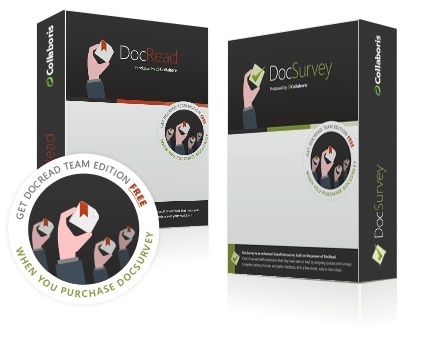 If you purchase DocSurvey (within your 30-day trial period), we'll give you DocRead Team Edition (100 users) completely free. Adding DocRead to the solution allows you to automatically distribute and track your DocSurvey quizzes to SharePoint groups, AD groups, individual users or Global Audiences. Please fill in the form below and one of our team will be in touch with pricing real quick!